Treat your lips to 10 luscious lip gloss shades that soothe, hydrate and nourish your lips! 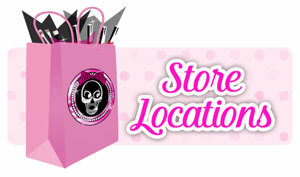 Skull Sugar Cosmetics Lip Gloss have a non-stop shine & are so rich in color. Vitamin enriched, moisturizing and non-sticky.